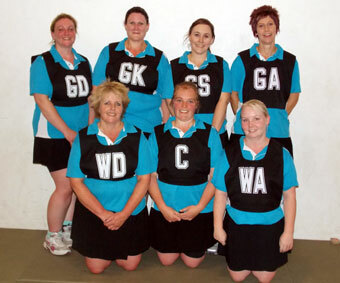 THE Derwent Valley Women's Netball Association grand finals were played last Tuesday night at the Derwent Valley Sport and Recreation Centre. A large number of spectators turned out to watch some great netball with all three finals of a great standard. The A-grade final was the closest with very little separating both teams throughout the course of the game, before with The Netts defeated Celtics by three goals. In B Grade, Fusion did well to defeat K-Oss by 11 goals while Calypso won by the biggest margin of the night in defeating the Bushrats by 16 goals in the C Grade decider. Well done to all teams. A report of the dinner and trophy night will be published later. A Grade: The Netts 42 defeated Celtics 39. Best player: Reagan Plunkett. B Grade: Fusion 30 defeated k-Oss 19. Best player: Maddison Tomkinson. C Grade: Calypso 40 defeated Bush Rats 24. Best player: Mandy Eiszele. Back LtoR - Ebony Plunkett, Reagan Plunkett, Ebony Nichols, Jenny Branch. Front LtoR - Brit Wardlaw, Brit Parker, Sarah Davie. Back LtoR - Tyla Hanlon, Maddi Tomkinson, Emily Eiszele, Jordan Young, Jemma Wakefield. Front LtoR - Kelsey Pauly, Abbie Gregson, Kate Curran. Back LtoR - Esther Garforth, Jayne McLean, Jenna Healy, Mandy Eiszele (captain). Front LtoR - Diana Nunn, Gail McNeil, Debbie Midson. The Netts - A Grade grand final winners. Photo by Chloe Gleeson. 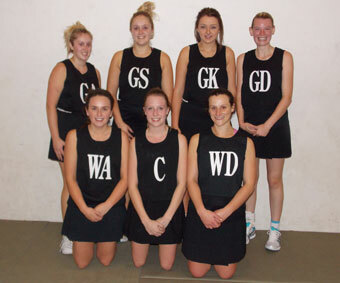 Fusion - B Grade grand final winners. Photo by Chloe Gleeson. 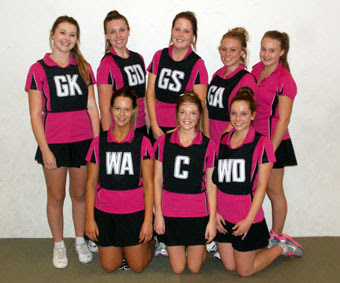 Calypso - C Grade grand final winners. Photo by Chloe Gleeson.